This powerful book is for Christians old and new. With his fresh portrayal of grace, Roy Hession shows how you really can experience joy, peace and genuine revival in your Christian life. "I have been seeking to proclaim the whole message of grace since I was confronted with revival in 1947. Though I was a full-time evangelist, I was profoundly moved by this confrontation with living revival and I began a new walk with the Lord. As a result, I was given a new concept of the gospel of grace of God by means of which God accomplishes the revival of His church and the salvation of the lost. This book is the direct result of that new concept." 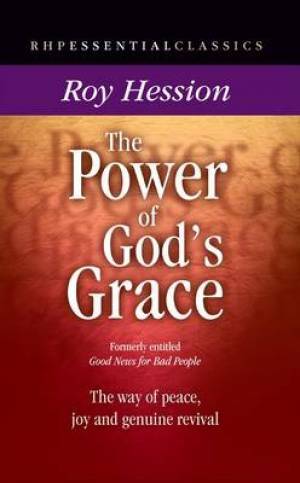 The Power of God's Grace by Hession, Roy was published by Rickfords Hill Publishing Ltd in March 2015 and is our 1074th best seller. The ISBN for The Power of God's Grace is 9781905044375. Be the first to review The Power of God's Grace! Got a question? No problem! Just click here to ask us about The Power of God's Grace.